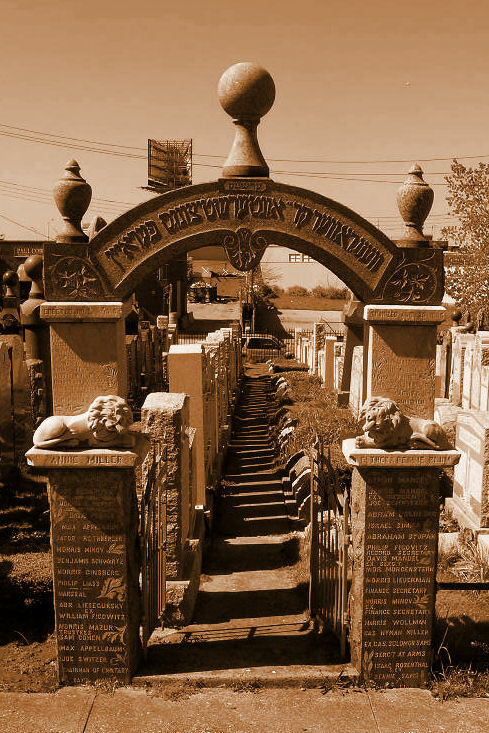 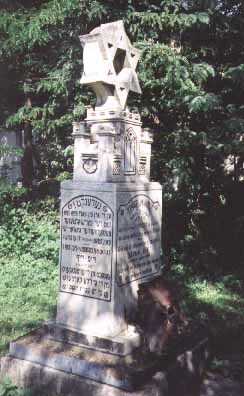 Monument to the Jews of Radauti who perished in the Holocaust in Transnistria. 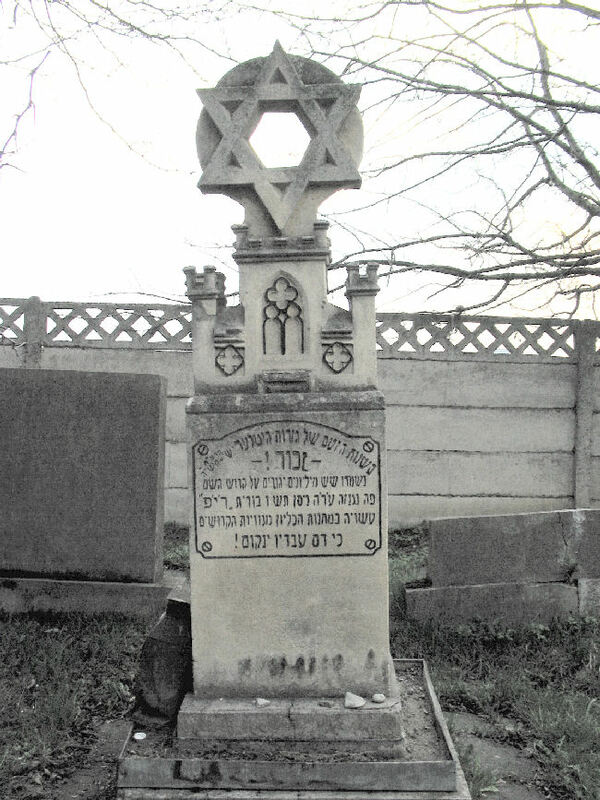 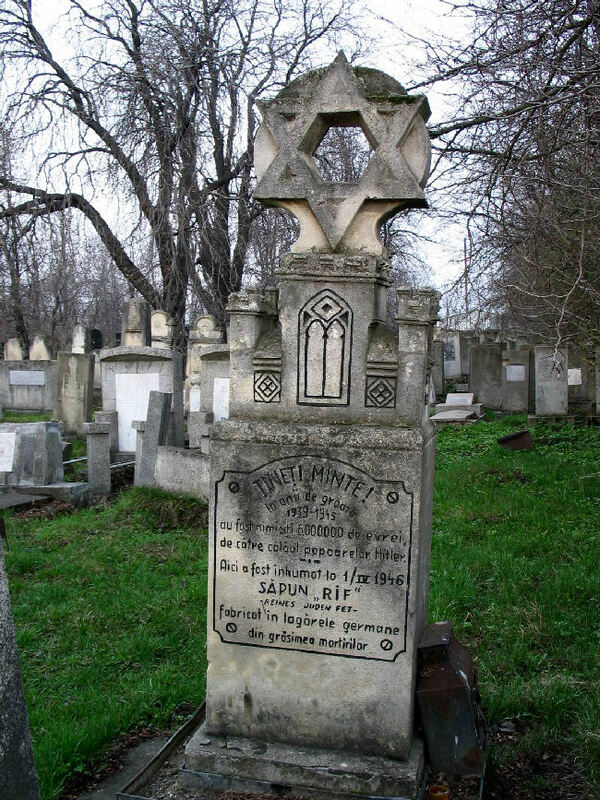 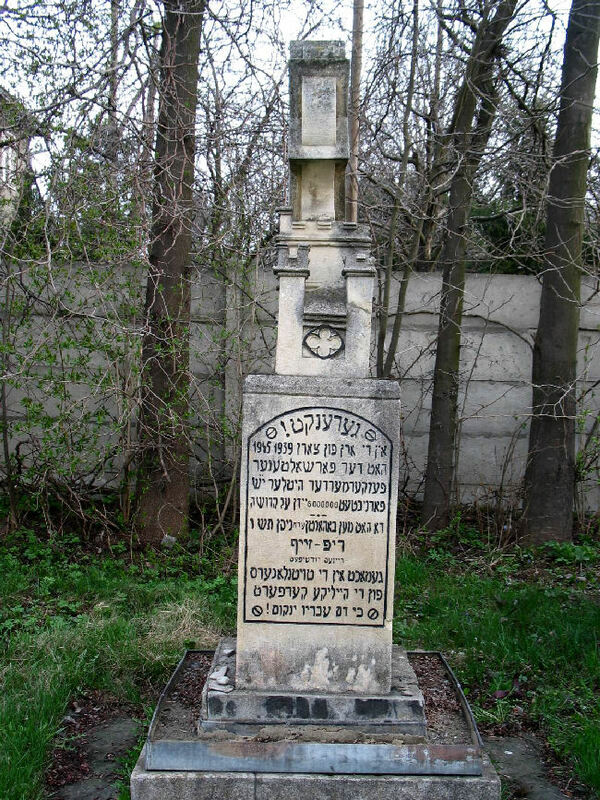 Erected just inside the main gate of the Jewish Cemetery. 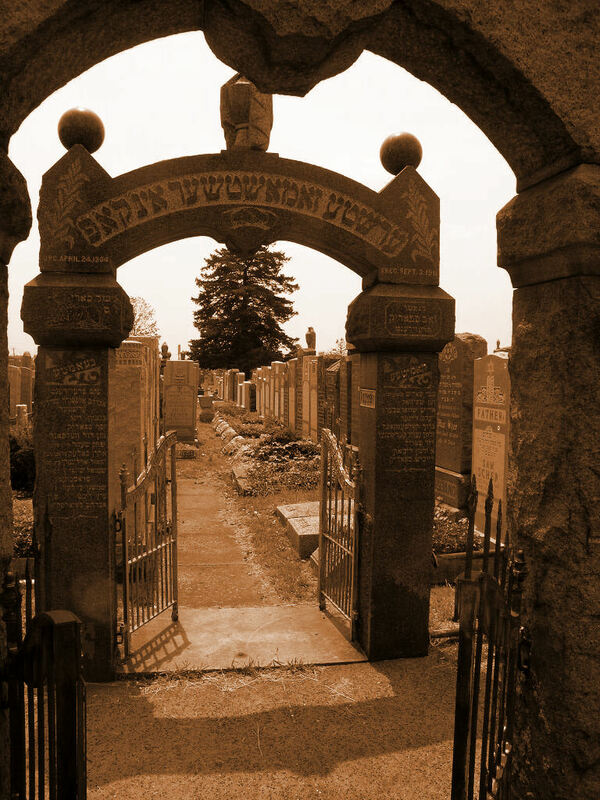 Soap made from the bodies of Holocaust victims was recovered after the war and buried here.